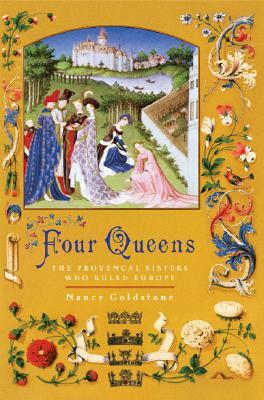 Set against the backdrop of the turbulent thirteenth century, a time of chivalry and crusades, poetry, knights, and monarchs comes the story of the four beautiful daughters of the count of Provence whose brilliant marriages made them the queens of France, England, Germany, and Sicily. From a cultured childhood in Provence, each sister was propelled into a world marked by shifting alliances, intrigue, and subterfuge. Marguerite, the eldest, whose resolution and spirit would be tested by the cold splendor of the Palais du Roi in Paris; Eleanor, whose soaring political aspirations would provoke her kingdom to civil war; Sanchia, the neglected wife of the richest man in England who bought himself the crown of Germany; and Beatrice, whose desire for sovereignty was so acute that she risked her life to earn her place at the royal table.